In our last post, we covered our plan and budget vs reality for our boat yard work. 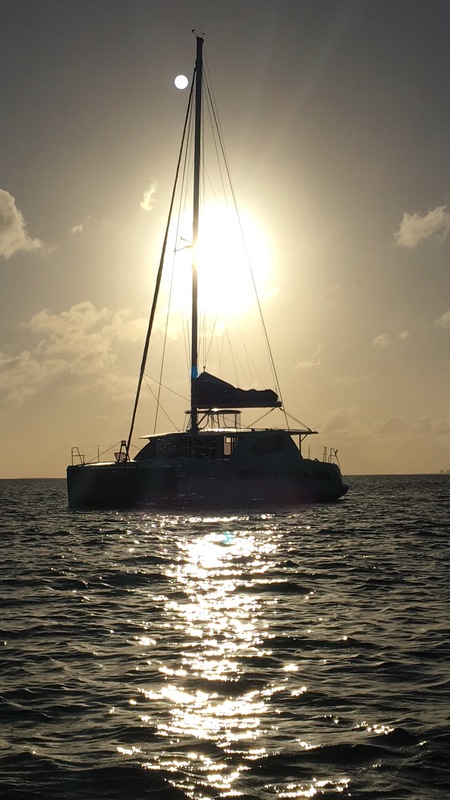 In this post we’re looking at the surprising number of items that we ended up buying that went well beyond the work that we had done at Just Catamarans. This includes parts, tools, unique gear, special clothing, etc. We’ll skip those items we consider “household” supplies as these would be essentially the same products we would use if we were living in an actual house ashore. The boat spent the majority of time in 4 locations, so that’s where where we bought most of these items: Key Largo, Dania Beach next to Fort Lauderdale, Lake Worth Lagoon close to Palm Beach, and then sporadically throughout The Bahamas. Since we were in Florida before crossing, we had no trouble finding anything we needed or having it shipped through someone like Amazon. The flip-side of being in Florida was that we were constantly surrounded by the temptation to spend our money whether in bars, restaurants, malls or a places like West Marine. Ah, West Marine…If you own a boat in the US, you likely have bought something from the “Home Depot of boating.” Like for most things, opinions will vary, but you can’t deny the lurking presence of the 800lb gorilla of boating supplies, especially in South Florida. Sign up for an account to get some money back based on what you spend. Even better, go with someone that has a professional account to save even more. We spent a lot of money in their stores, and ordered a few things online, the catalog for which is vast. Care should be taken though, as they do not ship things anywhere near as fast as Amazon, or even Walmart online. Boat Owners Warehouse (which people like to ref to as The BOW), is another place where we bought a few items. They offer a lot of specialty fittings and other unique, hard to find items in Fort Lauderdale. Sailorman is another popular store in Fort Lauderdale. 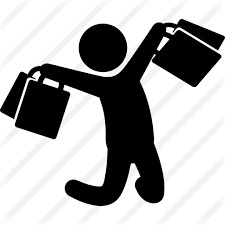 They are a new and used store, and carry a large number of items under consignment. Based on when you take a look, you may find some great prices for a “previous loved” item. Nance and Underwood is a well-established business for sails, rigging, lines, or anything else associated that you may need. They were subcontracted by a number of companies in the marina, which is how we became aware of them. Seafarer Marine carries a very large stock of hardware and accessories, and we used them to source some of the unique latches and cabinet fittings on the boat. Sun Power Diesel is a Yanmar and Northern Lights approved dealer and is located right in the same marina so we got all our spares and supplies there for our engines and generator. Provided you have a mailing address to use, don’t be afraid to use Amazon. A lot people likely employ the same tactic as we did by looking for something in an actual store so you can see it, touch it, try it on, smell it, whatever you need and then compare the price online. Add to that their 2-day, 1-day and in some places same-day delivery through Amazon Prime, and you have fast access to most of what you’ll be looking for. Otherwise, we shopped at pretty standard locations like Home Depot, Lowes, and even Napa, as well as Ross and Marshall’s for some long sleeve sun shirts. We were surprised at the extent of this list once it was all together. While it may be a stretch to call long sleeve shirts “boat gear,” we’re including them as sun protection from the longer periods of time in the sun than compared to any land-based activity. Of interest, there is so much cover from the huge hardtop and helm cover, it was easy to stay in the shade most days. There was some saving to be had if we had not bought things in the Bahamas. For example, the guide books were almost 50% more than if we bought them in Florida or through Amazon. We included the ice trays we bought at Walmart as a boat item since they had covers to keep the water from spilling while underway. We had too many generator cooling impellers with five. We planned to have enough to replace them every month based on the problems other people were having. but ours lasted 6 months and only needed to be replaced once we were back in Florida during our lighting strike repairs. Our two biggest outlays of cash were to Westmarine and Nance & Underwood. Between those two companies we tried to buy one of each item that could likely fail, for which we did not already have a spare or could not steal one from elsewhere on the boat. For example, there are three heads on the boat so in theory any once piece could be “borrowed” until we got back to Florida. For the rigging, there are many of the same types of blocks, pulleys, lines, etc used in more than one place around the boat. They aren’t all going to fail at the same time so we got one of each size/length of line and each type of block/pulley in case something broke. Something to keep in mind while you’re planning to or already out buying stuff, is that you’ll never be finished. There’s always one more thing to think of, or more more item you need at the store. Many books and blogs from people with much more experience than us talk about this. Just accept that you’ll always feel this way and accept it. You may only be 80% through your list, and that’s good enough. Get out there and compensate as you go since you can’t possibly think of everything, even if you checked everything off on your list. A bit off topic, but related to this is a tendency of some folks to try and buy themselves safety/security with at the expense of necessary knowledge, or what you may call core skills. This is a very individual thing, but more important than a fancy toy is your knowledge/experience and therefore personal ability. An example would be (and I’m paraphrasing Fatty Goodlander here), it’s better to invest in knowledge associated with your ground tackle so you don’t drag, rather than buying a fancy anchor alarm that will alert you after you’re actually dragging. One of our favorite drills was Man Overboard (MOB) under sail. If you are heading offshore and you both can’t perform one of these, your new satellite phone won’t solve that problem. You need to practice. If you recall from previous posts, for planning additional costs we like to use the rule of thumb of approximately 20% of purchase price. After the administrative costs and boatyard work added to this list, we are at around $78,500, which is approximately 17% of our original purchase price. In the next post we’ll look at provisioning costs.